I’ve learned a lot since I started then. For example, I know now that I still have a problem with remembering what the Von Restorff effect is. But I also know that my drawing skills have become a whóle lot better. Because of this, I’ve become uncomfortable with the form I started with; just a cartoon and a column about a bias. I’m happier drawing stories like ‘a few notes about service design’ and ‘a plea for some inefficiency’. So.. I quit with the bias project in order to do new stuff. I’m not quite sure what it will be, but that’s a good thing. I hope that you’ll enjoy whatever comes next. 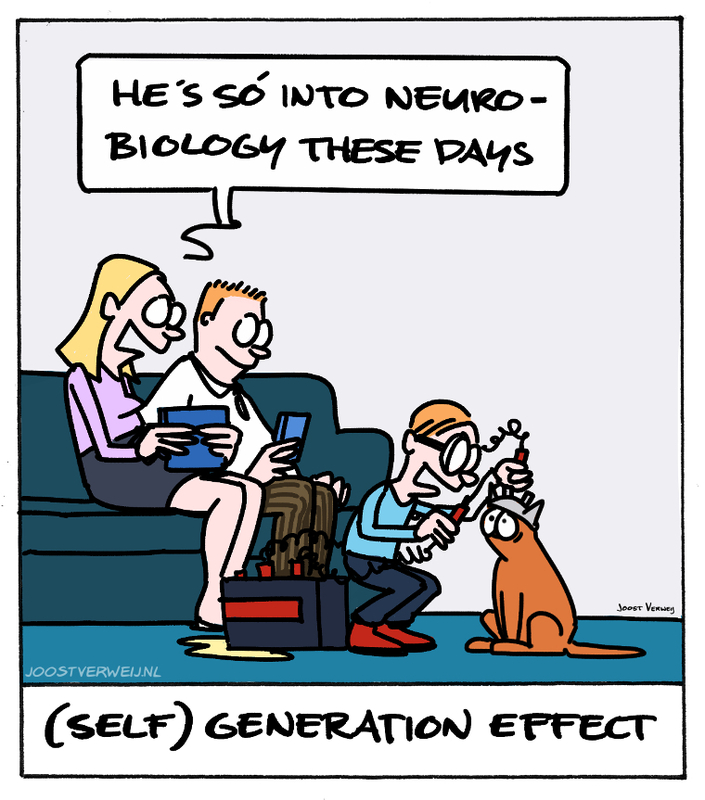 There are a lót of UX articles about the self generation effect. The whole concept of gamefication is based on it. Just don’t confuse gamification with imitating how a game looks: the looks should be about the learning.